Is your dad your hero or just a good guy? 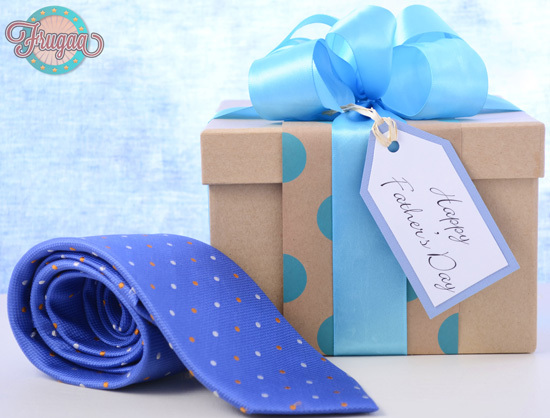 It might just be another day to you, but this is your chance to offer your dad a small token of appreciation for everything he’s been doing for your entire life. You might want to take him on an epic hike or grab brunch with him. Those are great ideas and you should definitely do those, but don’t forget the cherry on the top (that’s the gift). Both way, Father’s Day is nearing and if your father is one who loves to travel, then you will want to check out these potential travel gear gifts. Never underestimate just how useful a multi-tool is. When your dad opens his gift and finds this practical offering that features over a dozen different tools he’s going to pat you on the back. He’ll think of you every time he uses it, too. Better yet, you can get a great discount on one from Gemplers. No, not the Scottish candy, the mobile device. Look, whether you want to stump for an Apple product or opt for an e-Reader, you’re traveling dad will love a tablet. It may be a bit pricier than the standard Father’s Day gift (or anything else on the list), but really… isn’t it worth it to buy him something you know he’ll use? Why not set it up for him, and have some of his favorite music and podcasts pre-loaded so he can dive right in. This is the perfect little tool to slip into hand luggage if your dad is a bit of a jet-setter. 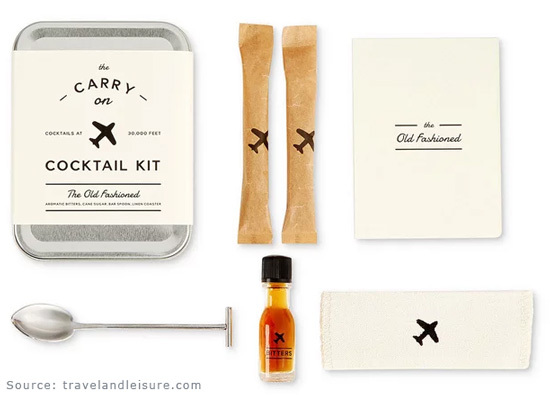 You might wonder how this is travel gear, but who doesn’t need the necessary tools to throw together an Old Fashioned in a pinch? Why would he want to travel any other way than in comfort and with a delicious beverage kit on hand? There are plenty of world subscription boxes available, but why not stump for the world option? Every month he can enjoy drinks, snacks, and treats from a different country. From Chile and Mexico to Japan and India, it doesn’t get much cooler than that. It looks like a normal bag, but this bag is special. It’s easy and comfortable to carry, for one, and it’s virtually indestructible. It’s the perfect companion for camping, hiking, and going to the beach. Oh wait, we forget the best bit – it will keep the beers (or other beverages) chilled for a cool 48 hours. Not just any adapter set, though. You can find handy 5-in-1’s that work in 150 different countries. 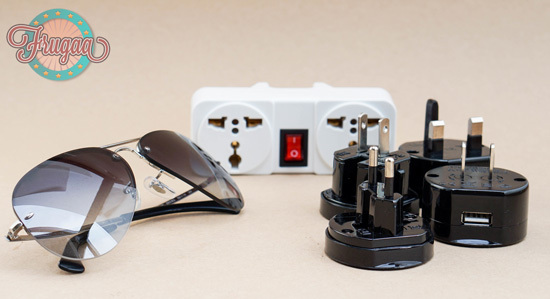 The best part is they come with a handy guide that takes you through the color-coded set-up so you can easily piece it all together to get the plug you need. Your dad will love it. No matter where you go, how far you are from home, it’s nice to have some of those comforts, isn’t it? Which is where the camping hammock comes in handy. It’s portable, lightweight, and well, comfortable offered for a reasonable price at Gearxs.com. There are plenty of options to choose from. You can find something that speaks to your dad’s favorite holidays and hobbies, all while choosing a style that totally works for him. Whether you buy him the entire set or stick to a carry-on option, he’ll love that you thought of it. 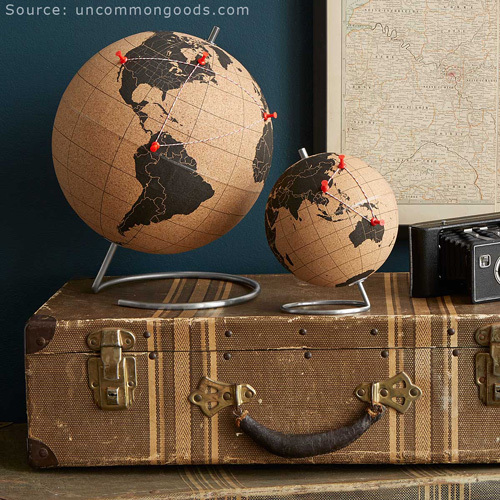 If your dad has been all over the world, why not gift him with a cork globe? He can pop a pin in every spot he’s visited and it’s a great one for him to show off to visitors and grandkids! It’s a great way for him to celebrate his wanderlust while he’s at home. If you don’t love the idea of a cork globe, there’s also scratch maps. Airbnb operates in almost 200 countries, so providing your dad with a gift card means that no matter where he is or what he’s doing, if he finds himself in need of a place to lay his head, he can simply use that gift card. It’s handy. Luckily, there are plenty of stores available online and a plethora of discount coupons ensures you get the best deal possible. Your dad won’t know what hit him this Father’s Day. Bonus points if you use the money you saved to take a trip with him. Memories are everything, just make sure you take some packing tips from him.